In the last few weeks I have decided to start messing around with my Cricut expressions again. I have had it for a couple years and haven’t used it much. 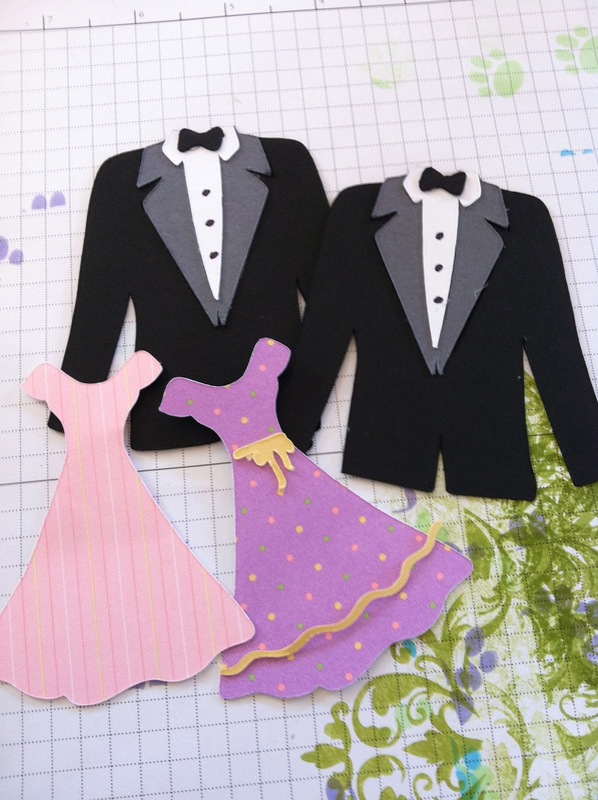 I was very excited to see how easy it was to put together these little tuxedos and dresses. I can’t wait to see what I create with in in the near future!